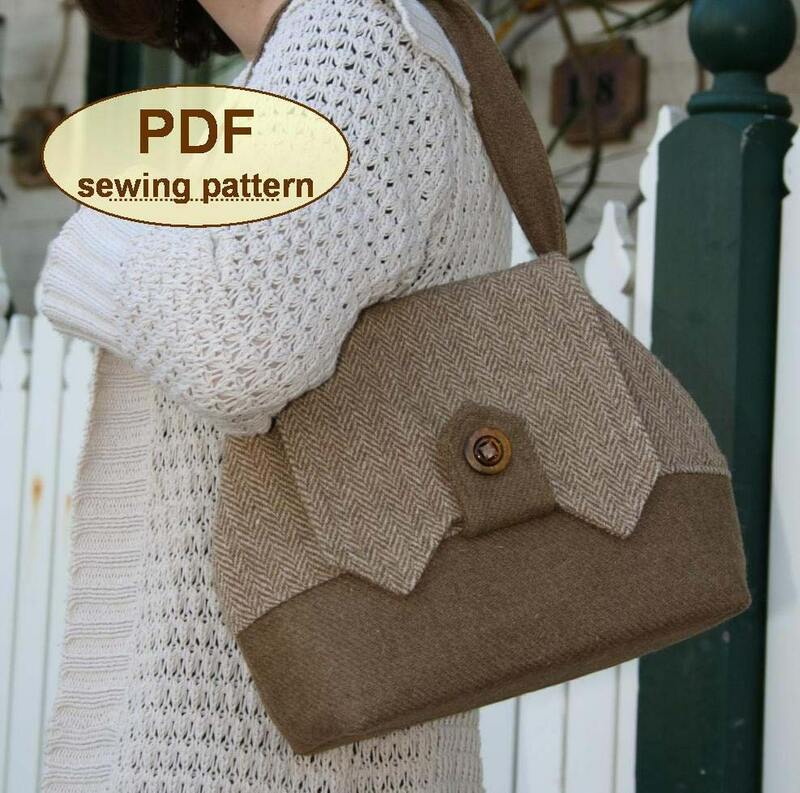 This PDF SEWING PATTERN inspired by the styles of the early 1940s includes templates and instructions to make view 1 of our popular Home Front Bag printed pattern. This practical day bag combines a useful size and shape with unusual flap detailing, influenced by the military styling popular during the war years. The Home Front Bag is constructed with box corners to give a wide flat base. A template for an interior patch pocket is included in the pattern. 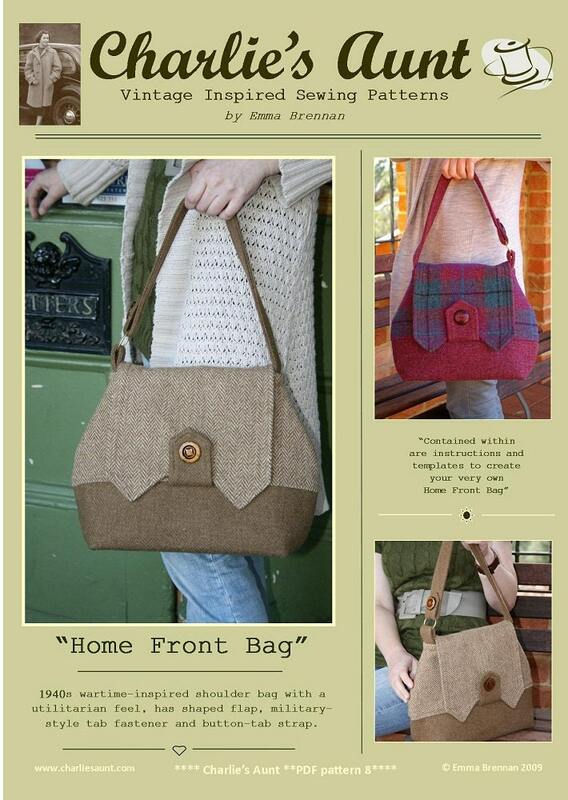 Home Front Bag measures approx 14” (36cm) wide x 10” (26cm) high x 5” (13cm) deep at the base. 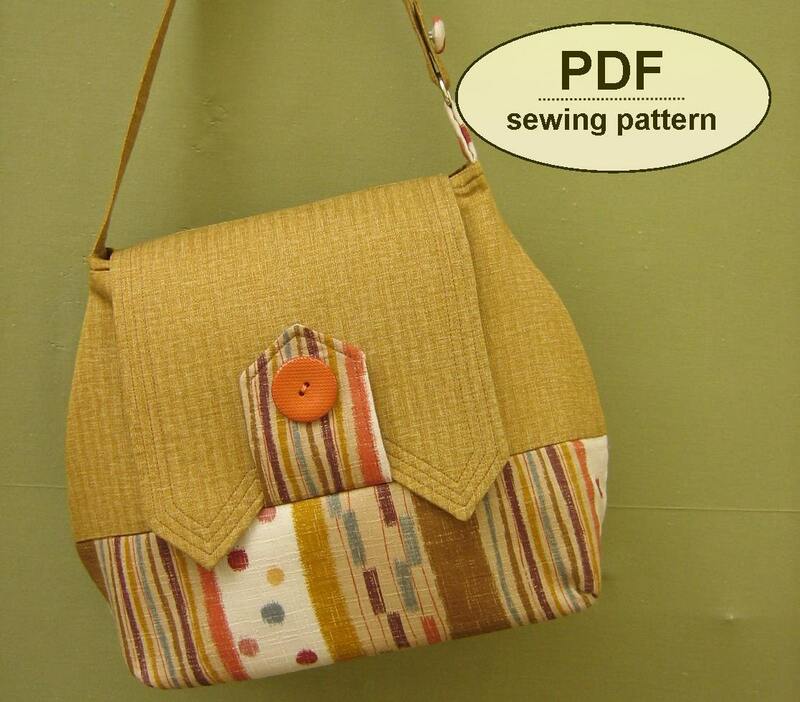 This PDF pattern has 13 pages – 6 pages including photographs, detailed instructions and illustrations, plus 7 pages of full sized pattern templates which you must print on letter (A4) paper and cut out. As some of the templates are too large to fit on one sheet, you must tape the templates together where shown. Instructions for this are very clear. Please note that this is a PDF pattern and NOT a paper pattern. 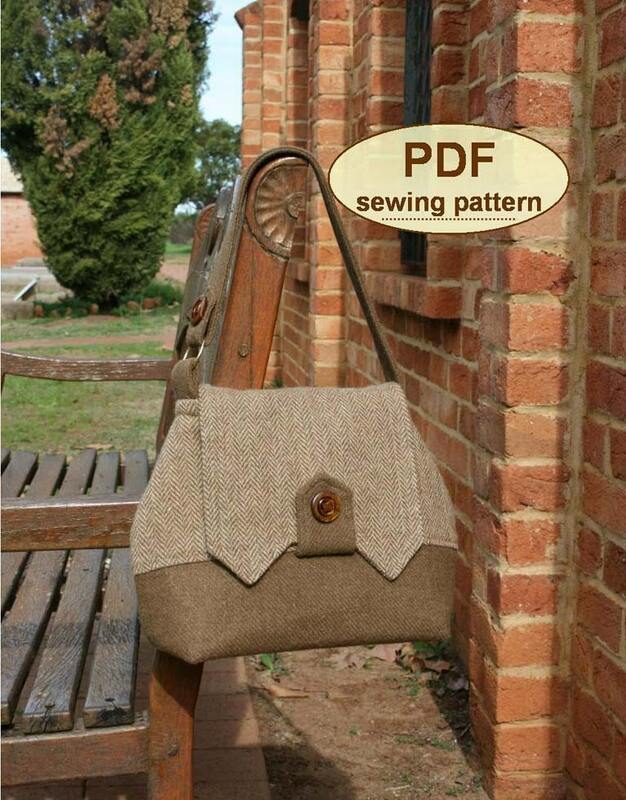 Only view 1 of the Home Front printed pattern is included in this PDF. 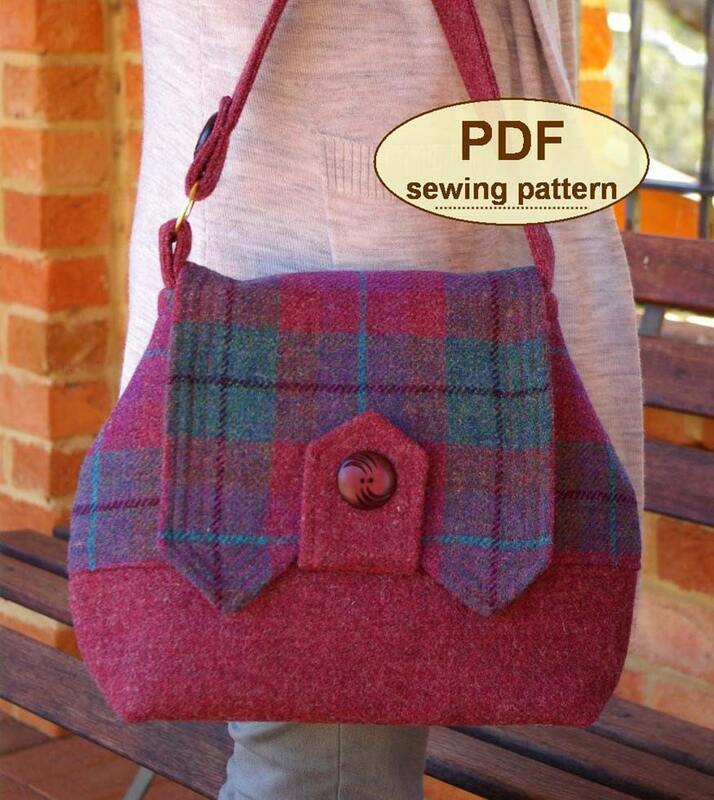 Once your payment has been accepted, a download button will appear and you will be able to download the pattern straight away. If you have any problems accessing the pattern, please convo me and I will email it to you instead. Please remember to include your email address. We endeavour to get PDF patterns emailed to your specified email address within 24 hours of payment.